Riley and Matthew replaced the tape on the 3D printer bed and reapplied glue, then began printing the newly designed camera mounting apparatus that Matthew had made in Inventor. 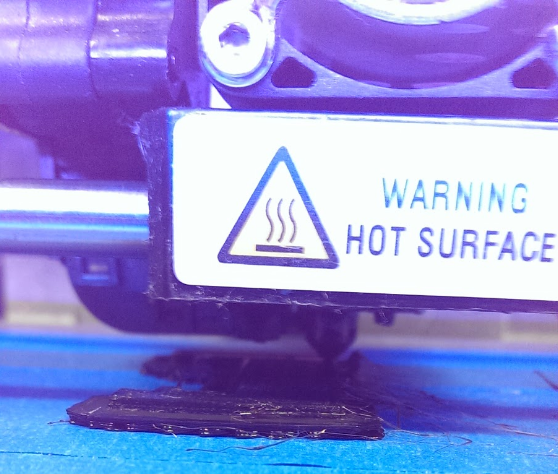 Printing at 100% infill and with a layer height of 0.05mm, it took take a while but is going to be extremely strong. Ryan installed Python Serial on the laptop we are using to program the robot. I wrote a test program which made the robot navigate through the obstacles in the room and out the door, delivering a letter to the IT support office next door.